How Will Facebook Graph Search Change Sponsored Results? With Facebook’s announcement of Graph Search, marketers anxiously awaited to see how they could take advantage of the new real estate. Look at all that space! Last fall, “Sponsored Results” started appearing in the search bar. Even though there isn’t much traffic, these ad units are surprisingly powerful. We’ve seen CTR in the 5-10% range, and CPCs of $0.05 – $0.10. Advertisers can use this ad unit to “brand bid” on competitors’ names, or what’s even more powerful is to target a set of users and bid on a wide range of popular keywords. This is especially sneaky because we’re not really bidding on the keywords, we’re bidding on a set of users to search for anything. See how Degree Tree and Oxford Seminars come up when I start to search for Coca-Cola? At first glance, Graph Search is a much wider bar – wide enough for them to have replaced the Facebook logo with just the “f”! 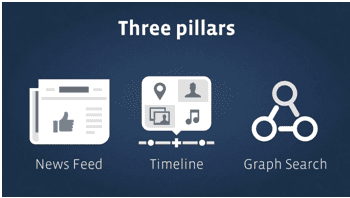 Search volumes to increase, since Graph Search one of the 3 pillars of Facebook, as mentioned by Zuck. Might search on Facebook be bigger and more effective than RHS (right-hand side ads)? We think so. Graph Search expands search from a single term to social connectedness, geography, and actions. How will us marketers choose to serve ads within this framework? We think sponsored stories are even more important, since graph search is based on a user’s context ¾ what their friends have done. How do we get more results in graph search, paid or not? Get more social actions ¾ likes, comments, check-ins, offers claimed, and so forth. We’re way beyond the days of just growing fans. Matt Prater spends his professional life managing Facebook marketing campaigns, training agency partners, and working closely with brands such as Nickelodeon, Nike, Viacom, and PBS. His area of expertise includes ad campaign management and project development. Earlier this year, Matt was a featured speaker at several social media workshops for agencies in Bogota, Colombia as a part of the BlitzMetrics Certified Partner program. He graduated from the University of Colorado, Boulder with degrees in Economics and Political Science. Outside of work, Matt is an avid tennis player and enjoys rock climbing, cycling, and travel.